How to maximize trader acquisition? These steps will help you improve your collaboration and your relationships with affiliate marketers. 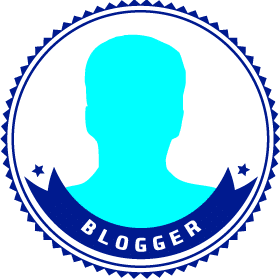 The way you manage your Affiliate Marketing is absolutely the same, you must find your teammates and learn how to create real collaboration, so people will feel free to share their knowledge and expertise. How to maximize trader acquisition efforts? Get tips on how to improve your Affiliate Marketing strategy. These steps will help you improve your collaboration and your relationships with affiliate marketers. Affiliate Marketing is one of the most effective channels for trader acquisitions. It can be very effective for market leaders, but new brands and small companies often work very hard trying to find affiliate partners. For example, a few weeks ago I had a meeting with the founder and CEO of a new binary options brand. He told me that his team struggles when it comes to generating high quality leads through Affiliate Marketing. The Affiliate Marketing manager was desperate for solid contracts and programs that would drive more traders, but he returned empty-handed. The CEO asked me, “Why is it so hard for us to collaborate with affiliate marketers?” To which I replied, “In most industries you can find the Pareto Principle (the 80:20 rule). That means that companies gain around 80% of their revenues from around 20% of their customers. And like most industries, affiliate marketers prefer to collaborate with market leaders because they have higher conversion rates and that makes it much easier for affiliate marketers to gain profits. One of the first and most important lessons I learned while working at Google was about user acquisition and measuring Life Time Value. Ten years ago many marketers didn’t know much about Google, measuring tools, optimization processes or KPIs. In the beginning, it was extremely hard to change marketer perceptions and methods. My team and I invested long hours in data analysis, market and potential research, and measurement and optimization processes. We demonstrated to market leaders how to convert traffic into sales, visitors into profits. Google continues to lead the way and offers free analytical tools that help marketers maximize acquisition efforts. Forex and binary options brands must master these tools. One of my colleagues at Google told me that more than 70% of the companies who use Google Analytics have implementation problems that lead to bad data. It’s highly recommended to check your analytics implementation and to define the main funnels you want to measure. Imagine you enter into an electronics store looking for a new TV. You find it hard to find what you need, so you ask the sales associate to help you. The sales associate tells you that he is very sorry, but he can’t provide you with the relevant information you’ve asked for. What would you do? Most people would turn around immediately and go to a competitor’s store. You probably say to yourself, “OK, if this store can’t help me, I’ll go to the next one…” That’s exactly what traders feel when they can’t find what they are looking for on your sites. When I work with Forex and binary options market leaders I recommend investigating your sites’ bounce rates. When the bounce rate is higher than 20% it means that potential and existing traders can’t find what they are looking for, therefore they bounce to another site, activity or even worse – to your competitors’ sites. Traders bounce for many reasons: Sometimes the site layout isn’t optimal, the content they find isn’t appealing or the content isn’t convincing or motivating. It could also be possible that your calls to action aren’t visible or good enough. All these factors increases traders’ mental effort and at some point they feel they must bounce, it’s an automatic response. Learn to think like traders, analyze the buying process and then create the most influential content to attract traders into your sites. Forex and binary options CMOs tend to think that they can’t track trader data on mobile, BUT this is NOT true. Both Apple and Google have improved their mobile tracking technologies. These essential improvements allow you to learn more about trader behavior on mobile as well. Recently, I asked one of my clients, a leading binary options brand, to go through their Google Analytics current data. We were amazed to see that the mobile site’s bounce rate was higher than 60%, while desktop and tablets gained around 20%. It was a wake-up call for us, since mobile is the second most important channel for trader acquisitions. Immediately we set up a brainstorm meeting to recreate a new mobile layout and we changed almost everything in the mobile experience, making it much more relevant for trader needs. The outcome was outstanding – until now my client has only implemented the basic elements and that reduced bounce rates by more than 50%. Still, there is much to do, but now we have a plan to put into action and a target to reach. Remember: Mobile experience is very different than desktop, so don’t shrink your desktop’s site layout, but create a different layout instead – one that traders find more engaging and useful. 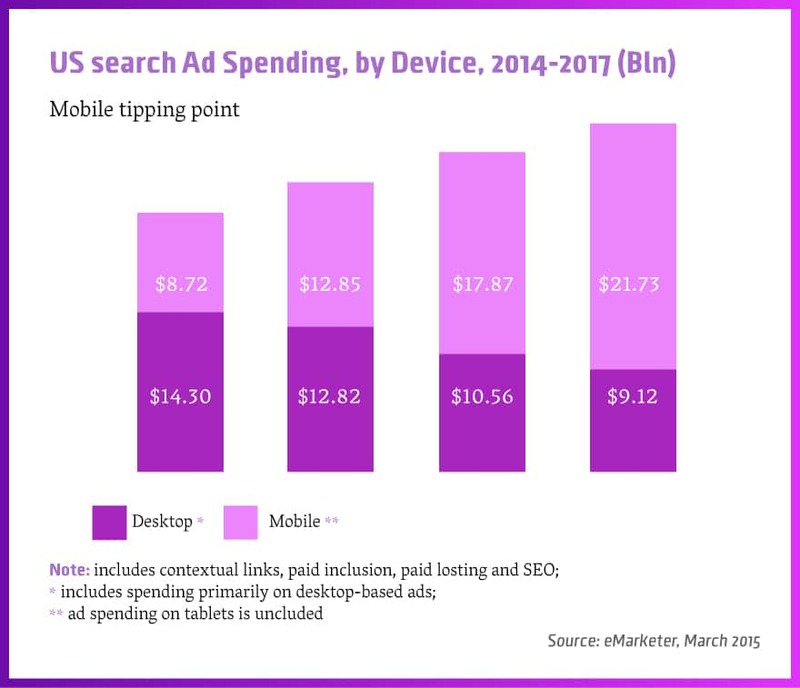 Mobile search ad spending will exceed desktop search ad spending for the first time in 2015. Check your analytics implementation, investigate your bounce rates in every channel; pay more attention to desktop and mobile. If your bounce rate is higher than 20% you should take immediate action: Change your site’s layout, make your content more convincing, make your calls to action more visible, create a different layout for mobile and create special sites and offerings for each and every market.